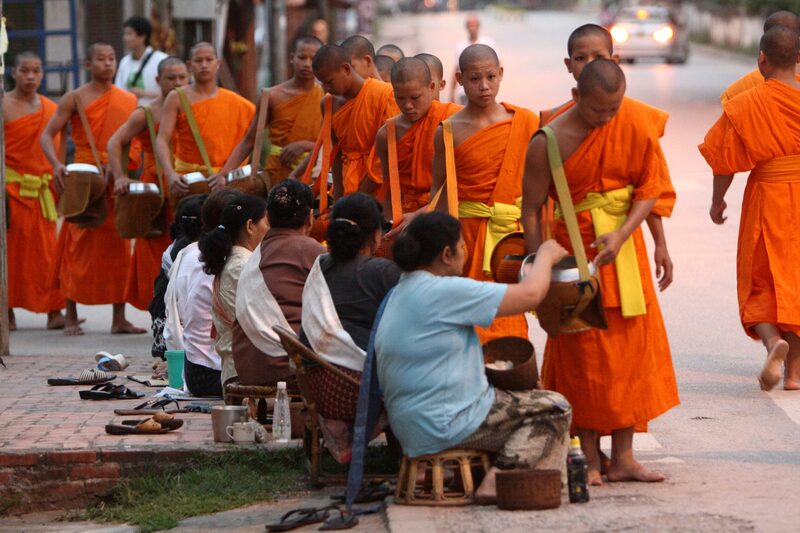 Rules to respect during the morning alms in Luang Prabang and in laos. The morning collection of the bonzes (in Lao : Tak bat) is an animated tradition for the population of Luang Prabang. It has become an important tourist attraction because of its beauty. However, when tourists don’t know the customs, their clumsiness can disrupt this ceremony. We would like to draw your attention to this religious observation which has a great meaning to the inhabitants of Luang Prabang. Observe in silence and only make offerings if, for you, they correspond to a religious step that you can take with dignity. Buy your rice in the market, preferably early in the morning rather than with the stallholders on the path of the bonzes. Remove your shoes to give your offerings; women must stay on their knees and ideally wear a scarf over her shoulders. If you’re not making an offering, stay at a distance, in a respectful manner. Don’t hamper the procession of bonzes and the donations of the faithful. 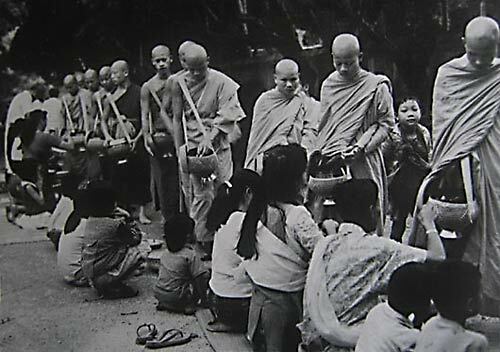 Make sure you are decently dressed, with your shoulders, body and legs well covered, especially if you are giving any offerings. Don’t take photos of the bonzes from too near; the flashes are most disturbing both for the bonzes and the faithful. Avoid any physical contact with the bonzes. Never position yourself so that you are in a higher position than the bonzes (on a wall or on steps, for example) its very disrespectful : the bonzes must always be on the highest points. Large buses are strictly forbidden in the protected area of the World Heritage, and create serious problems. Don’t follow the procession by bus. You again risk being	higher than the bonzes, which in Laos is a lack of respect. Participate in the ceremony for the bonzes quest, by protecting its dignity and its beauty. The population and the authorities of Luang Prabang thank you in advance for your cooperation. Normally, make sure you’re dressed in town, but especially in the temples, making sure that you do not show your knees or shoulders, and especially anything in between. To bow (even slightly) in front of the bonzes is recommended, and appreciated. 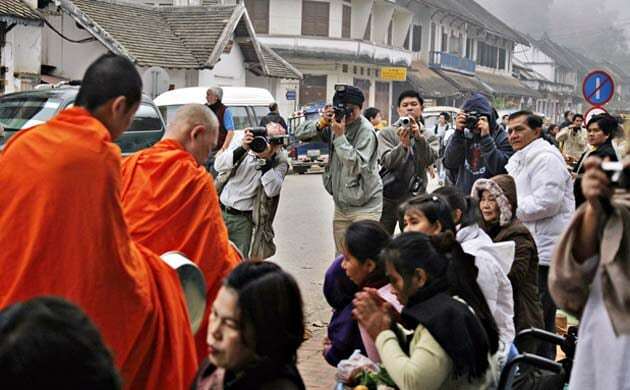 It’s a mark of respect followed by all Laotians, a tradition to which you must conform. Women must absolutely not touch the bonzes. Men may, even though physical contact is unseemly.